With so many different types of file around these days, it can be quite difficult to now what each of them does. Add to that, the fact each file can come in several different individual formats and it becomes tricky for the average user to know what to do with a file which has an extension they have never seen before. Just taking images as an example, there are several hundred different types of image file formats and most people wouldn’t really have an idea a file is actually an image if it doesn’t have an extension of JPG or GIF etc. It makes a good deal of sense to use as few programs as possible to take care of as much as possible. For instance, it’s much better to use a multi image viewer that can handle displaying as many types as possible, than a program that can handle just a few. Likewise, you’re not going to buy Photoshop just to view a PSD file, but rather use software that can view PSD’s and other things besides. A similar principle applies to any type of file you wish to view whether it’s images, multimedia files, office documents etc, less software to view everything you need makes life easier. Free software which is able to support the displaying of many different types of file is less common, but thankfully there are some around. 1. 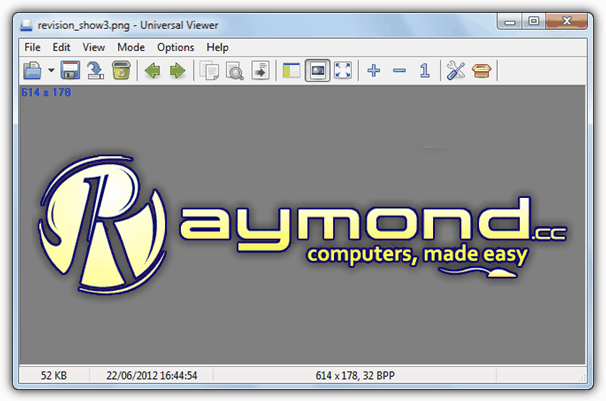 Universal Viewer is one such utility and has support for viewing a large array of different file formats. The list includes; over 40 types of the most common image and graphic formats, extensive support for more than 150 types of music or video file, several different text and document files such as MS Office, Open Office, Adobe PDF, Rich text etc, and website or webpage related files like HTML or CSS. Universal Viewer also supports adding extra formats using the same plugins that are used by the popular file manager Total Commander. The program comes with portable or installer versions, but BE WARNED that the installer downloads the InstallIQ manager during the install process and offers several pieces of adware which you need to Decline. There may also be a few tick boxes that need clearing as well because InstallQ slightly changes what it offers every time you run the installer. The portable version doesn’t have this problem. It can be setup easily to associate all recognized files to universal Viewer so double clicking a file will automatically launch the viewer, an integrated context menu entry to open with the viewer is also an option. 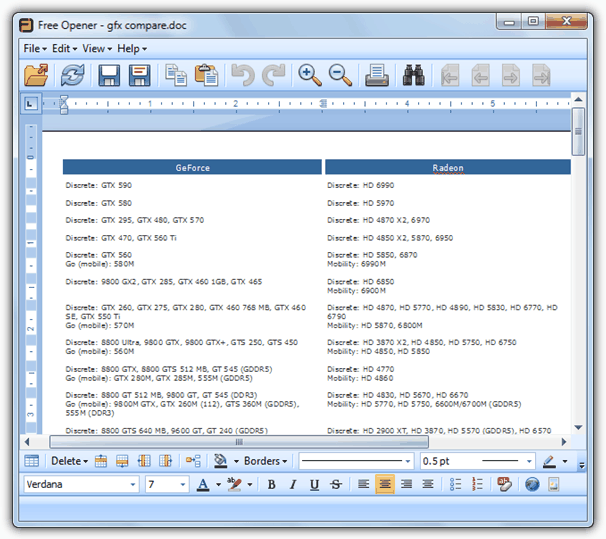 Universal Viewer comes in both shareware and freeware versions, and unfortunately the free version doesn’t open Office documents such as DOC or XLS unless you have the Office suite installed which rather defeats the object really. They can be loaded in as plain text if it’s any use to you. That’s a situation where you can have a look at installing one of the Lister plugins which can support some extra formats. Download a plugin and then press F10 in the program to add it in. 2. FreeFileViewer is another multi format file viewer and behaves very much like Universal Viewer. While it doesn’t support nearly as many file formats overall, FreeFileViewer can view Office documents straight out of the box which is an advantage, and also view slightly more non standard files like BIN, CFG and DAT. Sadly there is no portable version, just an adware supported installer. Like Universal Viewer, FreeFileViewer opts for the InstallQ adware manager which uses a combination of tick boxes and Decline buttons. I counted 8 screens (yes 8!) of junk it was offering so great care is needed during install. This program is much more geared towards the novice user with the file associations which it can auto open by double clicking the only real configuration options. A right click context menu option is applied in case you don’t want to associate the default file formats. 3. Free Opener / Open Freely are really the same program and the slightly different icons in the interface aren’t fooling anybody. They support the same file formats, the program menus are the same and even the size of the windows are identical. They do have a couple of useful advantages though because there is support for viewing 7zip, Rar and zip archives, Powerpoint presentations, Torrent files, Flash animations and Outlook messages and vcards among the 100 or so formats that are readable. The InstallQ adware manager makes another appearance here, and again, you have to take care during the install process by unticking the relevant boxes and Declining where needed. No portable versions available here either. A useful feature is the ability to convert some of the more common files to different formats. For example a Word DOC file can be converted as a Word 2007 (DOCX), Open Office, Rich text or plain text file. 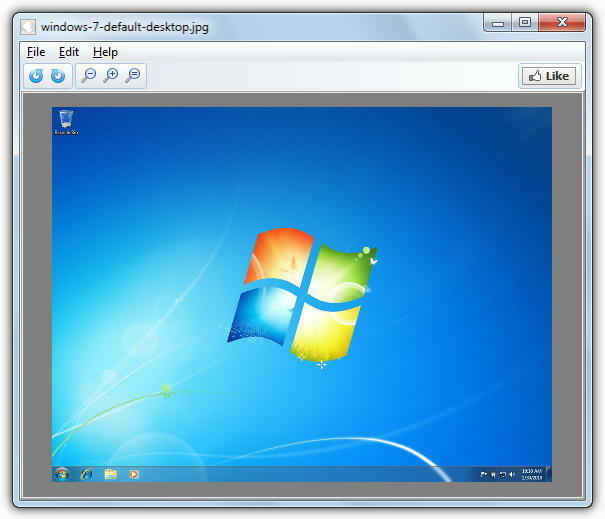 A JPG can be converted to a PNG, TIF, BMP etc. Simply open the file in the viewer and choose to “Save as”. Something else quite useful is the basic built in editor for certain file types. For instance, the image editor will allow rotate, resize, crop, greyscale etc, and with the document editor text can be added and formatted with several different functions.